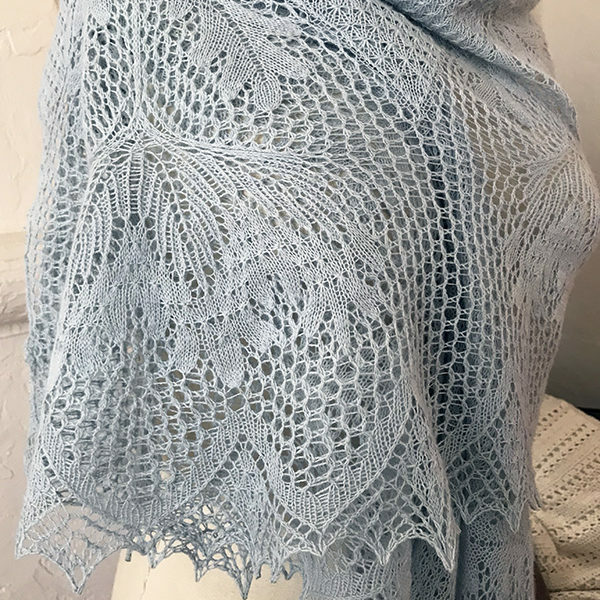 I love playing with vintage lace patterns, and adapting them to more modern designs (Tricho, Cereus, Ferru, Buteo, Pygmy Owl, Beneath the Moon, Isn’t it Romantic?, Under the Sun). 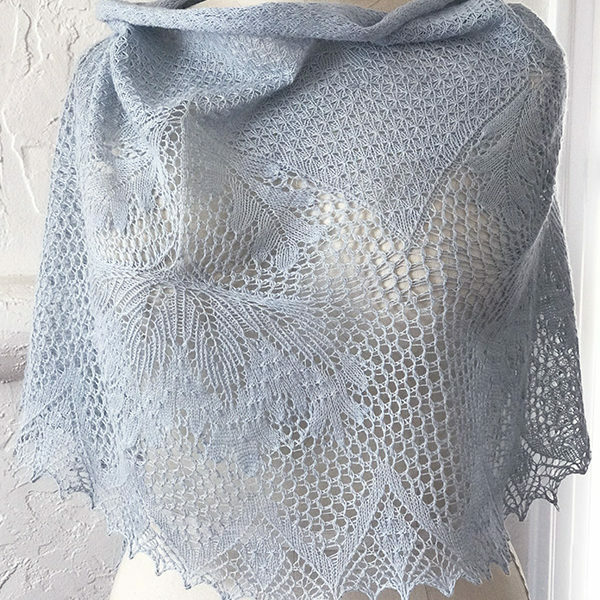 This one uses the big flower from Niebling’s Anemone but changes its center stitch pattern to reflect the stitch pattern of the body as well as a few other tweaks. 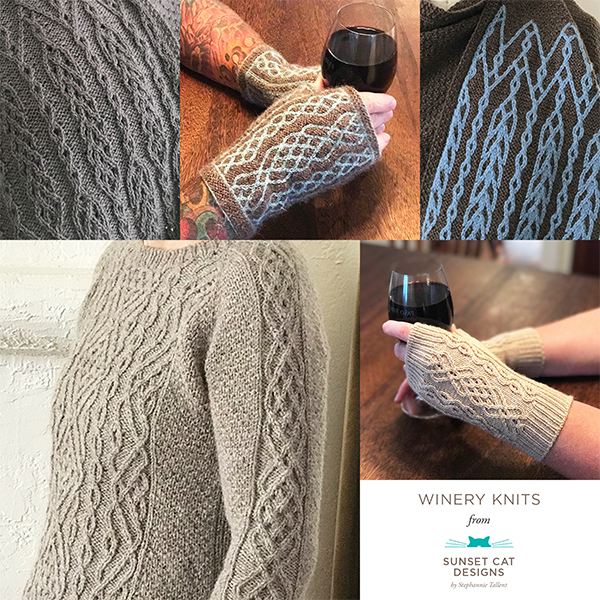 The pattern includes a section on blocking as well. Do check out the images from the test thread here — you can see it in different colors and yarns! 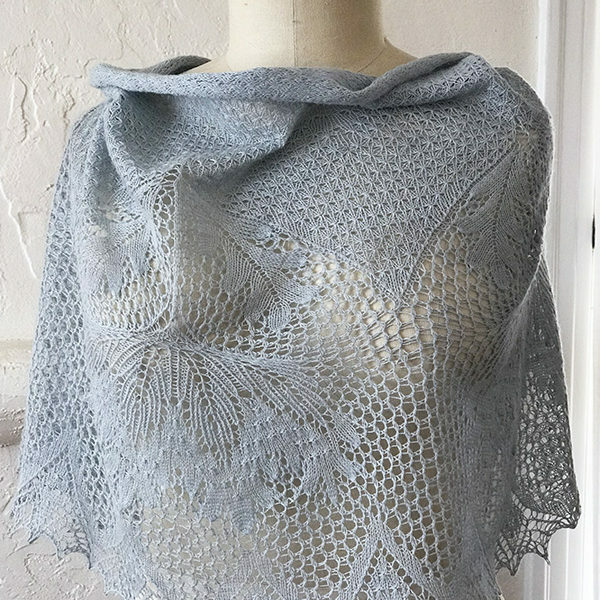 This lovely crescent shawl, worked from the textured portion to the lacy edging, features a leaf and flower pattern inspired by Niebling’s Anemone table cloth pattern. Carpinteria californica, also known as the Bush Anemone, is a California native plant, with glossy green leaves and beautiful white flowers. As knit, shawl weighed 152 g and used 1548 yds / 1415 m.